Rodeo is the official state sport of Wyoming, so if you’re visiting our state over the summer, the chances of you attending one of these wild Western events are high. But then there’s always the question: What should I wear? The rodeo dress code is simple in Wyoming, but getting it right is key. We walk you through what to wear to a Wyoming rodeo so you can look the part from head toe. Add some giddy-up to your getup with these Old West staples. If you are attending a rodeo in the Cowboy State, a cowboy hat is a must. 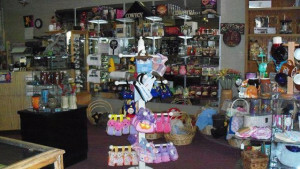 Find a local shop and choose from a variety of colors, shapes and sizes. No matter your style, you’ll be sure to find a hat that matches and brings out your inner cowboy. No, we’re not talking office button-ups, here. The button and snap-up shirts worn at rodeos can be simple or flaunt some Western flare. Go for a plaid pattern or look for something with embroidery along the shoulders and collar. 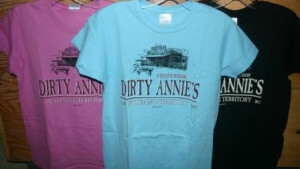 If it’s too hot for one of these rancher-inspired shirts, keep your cowboy look casual with a simple tee. What is Western jewelry? Think: turquois, leather and fringe. Western-style jewelry usually incorporates one of these things, sometimes combining all three into one piece. 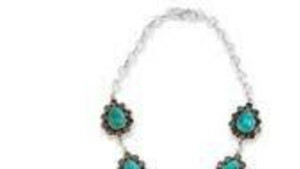 Turquois stones, earrings and necklaces with a fringed or tasseled look and jewelry that incorporates natural leather are all completely rodeo-appropriate (and encouraged). When it comes to rodeo fashion, belt buckles are big. Both literally and in the sense that many rodeo-goers wear them. Don’t be caught without one of these rodeo style staples. And be sure to tuck in your shirt so your belt buckle can have its moment in the sun. This simple piece of clothing is vital to your rodeo look. Denim is durable and comfortable, making it an ideal material for the cowboy lifestyle. Find yourself a nice pair of jeans to loop your belt through. And bootcut is best; you can probably guess why. If you only sport a single piece of rodeo attire to one of these classic Wyoming events, consider choosing cowboy boots. This wonderfully-western footwear can be spotted on locals at rodeos, the office and everywhere in between. If you decide to forego the boots, be sure to wear close-toed shoes, as a lot of dust is kicked up on rodeo grounds. Now that you know what to wear to a Wyoming rodeo, you might be wondering where you can get your hands on these cowboy-inspired pieces. If you’re attending Cheyenne Frontier Days or another rodeo in Wyoming’s capital, stop at The Wrangler to choose from a variety of cowboy hats, boots, belt buckles and other western clothing. 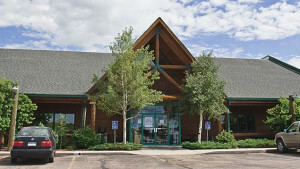 Lou Taubert Ranch Outfitters in Casper also sells western wear and boasts having 10,000 pairs of cowboy boots in stock. King Ropes in Sheridan sells ropes and saddles in addition to Western jewelry and more attire to get you rodeo ready. 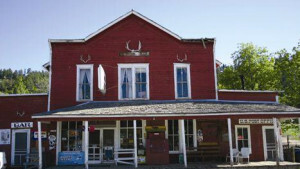 While you’re there, be sure to tour their museum, which showcases wagons, Indian artifacts, Old West guns and more. If you need to gear up for one of Cody’s nightly rodeos, check out The Cowboy Palace to outfit yourself with authentic western wear. Want more local, Wyoming-made goods? Check out Wyoming Made.